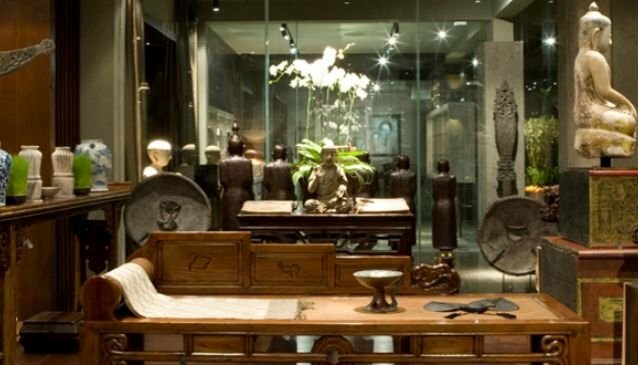 Asian antiques collectors and ordinary lovers of Asian art (or just art admirers in general!) will find Métis Gallery and Boutique fascinating and are sure to leave with something special. With plenty of contemporary photographs and paintings, a large collection of Buddhas from all across Asia, and art from almost every country in Asia. Métis have selected only the finest objet d'art with care and discernment, including some of Bali's traditional and contemporary art and fashion, renowned throughout the world. The Métis Boutique offers shimmering jewellery from a selection of Bali's top designers. Discerning buyers will find hand-crafted jewellery, one-of-a-kind objet d'art, and the best of Bali's contemporary fashion designers in the Métis Gallery. Whether you are looking for a glamorous leather bag or a designer belt, or something to 'hang on yourself' take a look at their superb collection in Métis Gallery & Boutique - you won't be disappointed.